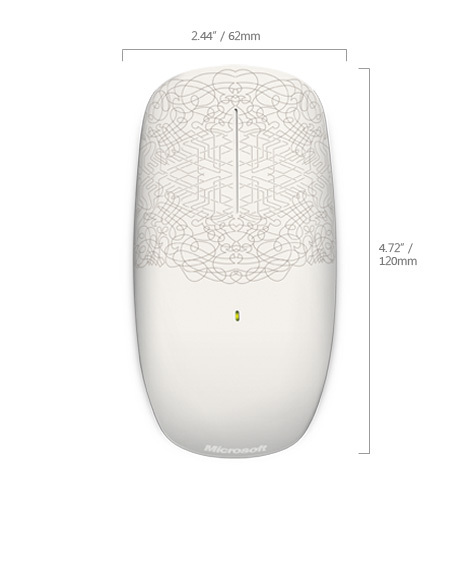 Earlier this year, Microsoft released a new line of mice, the "Microsoft Touch Family." The product group includes the Arc Touch, the Explorer Touch and also top-of-the line Touch Mouse, which I am reviewing today. 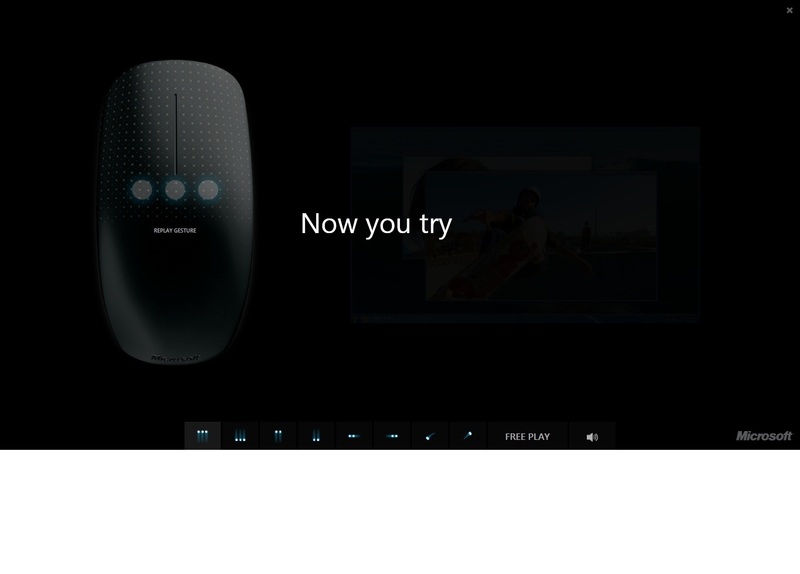 The mouse family is designed as a revolutionary makeover for mice and now includes multi-touch features exclusively for use in Windows 7 (or Windows 8), and was the result of the Mouse 2.0 project coming from Microsoft Research. 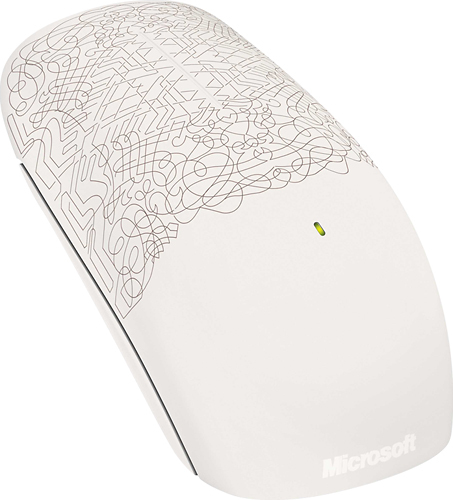 The Microsoft Touch mouse is the flagship mouse of the Touch family and features a large multi-touch surface, BlueTrack and more. The artist edition, which I have, also sports a laser-engraved white design from artist Deanne Cheuk. Does the Touch Mouse justify a switch from your old favorite? Read on to find out. Scroll, flick, or pan any direction for quick navigation. Sweep your thumb to go forward or back. Snap to see your windows side by side, or maximize and minimize. Show all open windows or reveal your desktop. Superior comfort that's designed to fit your hand. 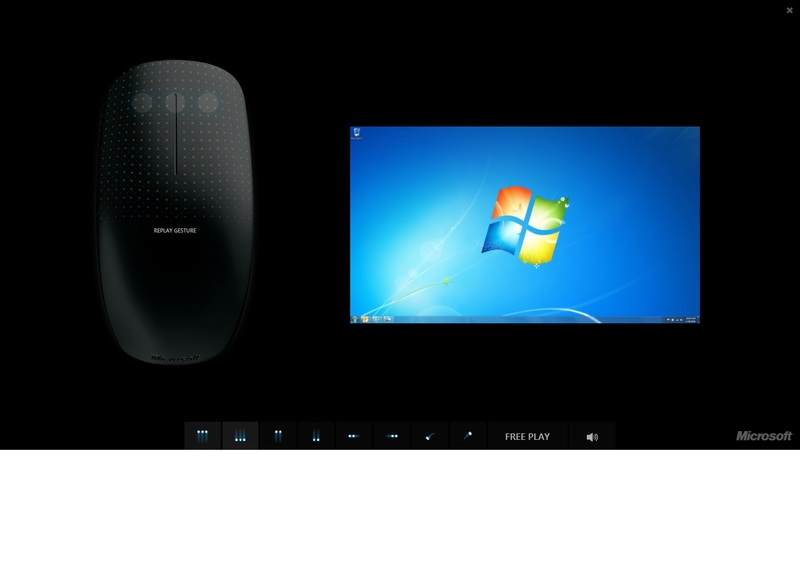 Touch Mouse takes advantage of the enhanced features of Windows 7 to make you more productive. BlueTrack Technology allows this multitouch mouse to go virtually anywhere. Very rarely, do we mention the packaging during our reviews. 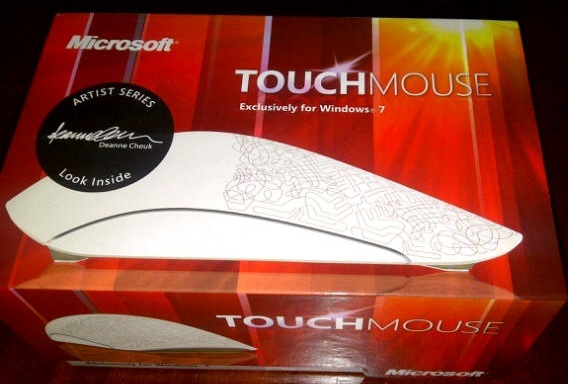 Today is the exception, I feel that the Microsoft Touch Mouse packaging is one of the better in recent years coming from Microsoft. The packaging is very concise; the consumer can easily look at the mouse before they buy. Included in the packaging is a piece of plastic the mouse is attached to, which you can easily snap back on if you wish to put back in the box for store. 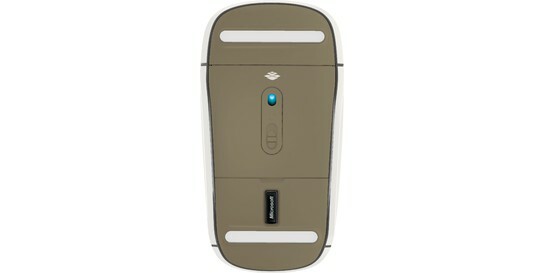 The mouse includes the Microsoft Nano Transceiver 1.0, which is very small. Also included is a USB extension cord that has a little piece of 3M velcro attached. The guide suggests using the extender if you have a desktop, but I think with the wireless range of the transceiver it will work without the extender, so I am not sure why it was included. Microsoft, as always, included 2 Energizer AA batteries. As usual, the setup is a breeze. On Windows 7 after connecting the USB transceiver the IntelliPoint software and related drivers automatically install from Windows update and within thirty seconds the mouse is in use, and after two minutes everything is installed. 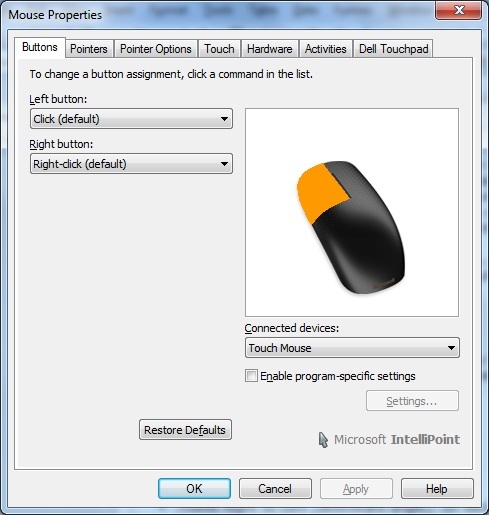 After the mouse is installed, you can open up IntelliPoint and configure the features. 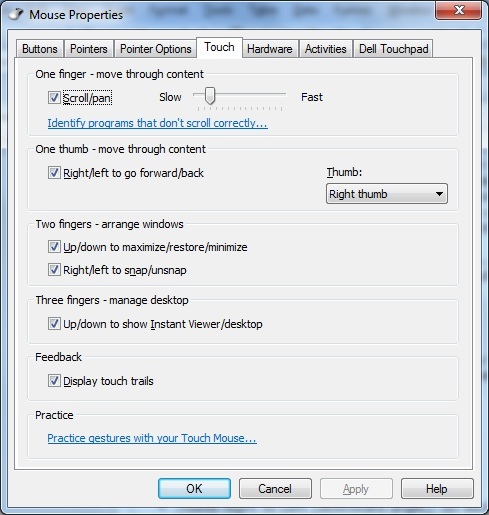 The mouse is ambidextrous, so if you are left handed, the commands are adjusted accordingly. You can disable any of the features above in IntelliPoint, as well as access the demo. At this time, you cannot customize the touch commands, and hopefully this is changed in the future. It's always fun to see a new mouse design coming from Microsoft. As I said earlier, this mouse also was designed in conjunction with Microsoft Research, so I expected the best and a lot of cool features. The mouse is about 4.72 inches long and 2.44 inches wide. At it's thickest point, it is slightly over an inch. On the top, there is a slit in the front, which is purely cosmetic just to show where the sensors are located. Also on the top is a small green indicator light. The top is a matte white finish, with the laser inscribed design (see the video below how it is inscribed). The design was created by Deanne Cheuk, which you can check out her work here: http://www.deannecheuk.com/. As you see, her art is made up of similar patterns. This mouse is not the first to have an outside artist's touch, you can check out the Optical Mouse by Philippe Starck released a few years ago here. In any case, when we flip the mouse over it has a gloss gray bottom, two sliders and the artist's signature in white. There is also a battery panel. on/off switch, BlueTrack Sensor, and and a spot for the transceiver. Since the transceiver was so small, Microsoft must have thought people would lose it (they were probably right). You can insert it in this spot for storage, when you are ready, just push it like a button and it pops out. Overall, the design is pretty good, but like anything it takes some getting use to. I have larger hands, so the tips of my fingers are inclined by default to hang off the front. To keep the design fluid, the front is not rounded, so it is a little awkward. If I move my hands a little to the back, it feel a lot better, but like I said, it takes some getting used to. 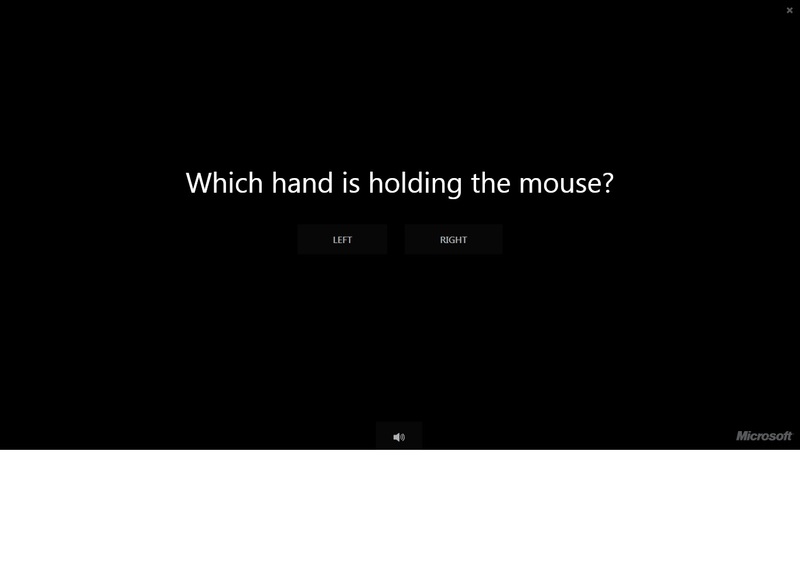 Using the mouse, I thought the multi-touch features were pretty cool. If you really got into using them, I could see it could make a lot of tasks much easier. Since there is no scroll wheel, it takes a little practice using your finger where the middle slit is to scroll up and down. With the BlueTrack technology, you know you can use this mouse on virtually any surface and its tried and tested and you will not have any problems with that. 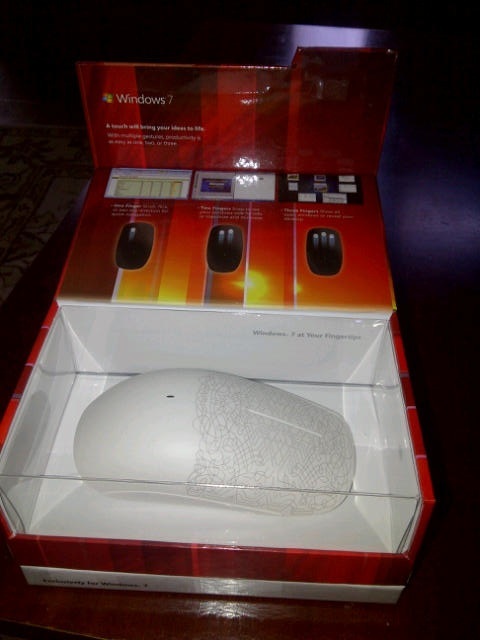 The Microsoft Touch mouse is cool. It has a cool design, and a lot of new features that definitely take advantage of the features in Windows 7. I myself would prefer the Black version, but I know a lot of people who would prefer the White. One thing that I really like about Microsoft mice is that they are high quality. Always top notch materials, batteries, etc. The Touch mouse is no exception; the design, materials and are very high-end and you can tell this mouse was thought through. If you like the Touch features, I suggest you take a look at the other Touch family mice that offer similar features, you can get one of those for a lesser price. If you like white, and need the best, than this mouse is definitely for you and I would recommend it!